There is a new class of drugs making its way across the globe, a class of drugs that authorities are having trouble keeping up with because so many new substances are being introduced to the market every month. These drugs are known as new psychoactive substances (NPS) or, on the street, ‘legal highs’. Some of the most addictive legal highs are even more dangerous than the worst of the illicit drugs we already know about. Legal highs are considered new within the drug treatment arena only because we haven’t seen widespread use of them until recently. But many of the compounds used to create these substances have been around for decades. Now that the compounds are being used to create substances people can use in place of illicit drugs, the new street products are literally everywhere. They are the drugs of choice for a whole new generation of users. Another important thing to understand is that these drugs, though technically legal to sell on the street prior to May 2016, are illegal for human consumption. This is why head shops and online sellers market them as bath salts or plant food. Users should not be deceived by the false impression that a substance that appears to be legal is safe to use. There is a temptation among drug users to try to figure out what the most addictive legal highs are so they can be avoided. Unfortunately, there is no real way to know. Attempting to determine the addictive nature of these substances for comparative purposes is hampered by a number of things. First, none of the legal high products currently on the street is manufactured according to a single, known recipe. Those who produce the drugs all have particular ways of doing things – including the compounds they use and their proportions when mixing them. NPSs are not like heroin or cocaine in this regard. Heroin and cocaine are known entities that can easily be measured; NPSs are unknown entities that are nearly impossible to quantify. Second, there are far too many drugs being introduced on a regular basis to keep up with. By the time authorities identify a new drug and obtain samples for chemical analysis, dozens more have already entered the marketplace. Who knows which of them will be more addictive than previous drugs? These drugs are intended to mimic the effects of natural cannabis. Many manufacturers start with an inert plant to which they apply the actual compounds that make the products active. Popular street names include Spice, Annihilation, Happy Joker, and Kronic. Researchers have identified seven different structural groups that determine how these drugs affect cannabinoid receptors in the brain. The most potent among them are very dangerous and significantly stronger than natural cannabis. They can be highly addictive in some cases. Stimulants are drugs that stimulate the central nervous system. In the arena of legal highs, examples include things such as methadone, Benzo Fury, and MDAI. Typically, these substances mimic the effects of amphetamine and methamphetamine. They are incredibly addictive due to their ability to affect both the central nervous system and the body’s basic functions. This class of drugs are those that cause auditory, visual and tactile hallucinations. 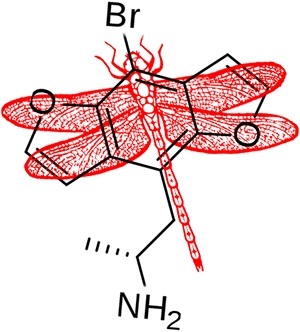 Examples of hallucinogenic include Bromo-Dragonfly and methoxetamine. Use of these drugs can lead to irrational and erratic behaviour; violence can also be induced in some people. Although NPSs in this category exist, they are not used heavily in the UK at this time. These drugs mimic the effects of natural opiates like morphine and codeine. Tranquillising drugs have a sedative effect on the central nervous system. These are also rarely used in the UK. However, brotizolam and clotiazepam are two examples of tranquillising legal highs that we do see here from time to time. Both are controlled substances under the Misuse of Drugs Act. According to Drug Wise, the use of legal highs is a growing problem in the UK. Up until about 2006, there was little interest in NPS substances among the general public who were thought to be developing very negative perceptions toward drug use, similar to their perceptions of smoking. But things changed. Manufacturers began flooding the market with cheap, easy-to-get drugs that could be found at any local head shop. They began marketing their drugs in ways that deceived people into thinking the products were largely harmless. That combination of slick marketing and low prices led an entirely new generation of drug users to begin experimenting with legal highs. It wasn’t until 2016 that the government decided to try to tackle the most addictive legal highs by passing the Psychoactive Substances Act that now prohibits the manufacture, sale and distribution of all psychoactive substances not included on the legislation’s list of exemptions. There is little doubt in the minds of experts that the most addictive legal highs are extremely dangerous. More than illicit drugs, the substances can kill or injure without warning. And as more people start using these drugs, our hospitals are seeing more and more cases of accidental injury, overdose, and even death that could have been entirely of avoided. If you are using any legal high products, we urge you to seriously consider stopping. If you need help, and many people do, we want to be of assistance. We can help you identify the seriousness of your drug use problem and recommend a course of treatment along with a local rehab facility. Please note that addiction to drugs can be both psychological and physical. Many of the NPS products being used today do not necessarily create physical dependence, but all of them can create severe psychological dependence. Any and all psychoactive substances have that capability. We want you to know that there are treatment programmes out there proven to work. Private and public rehab clinics specialising in addiction know how to address the psychological and physical aspects of legal high addiction to help drug users break free and overcome their problems. In a phrase, there is hope. Contact us right away if you or a loved one is battling with legal highs. The sooner you contact us, the sooner we can help you get the treatment you need to get well.